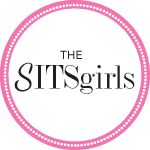 As you know this past weekend I had the wonderful opportunity to attend Bloggy Bootcamp which was hosted by the SITS Girls! It was absolutely amazing! My brain is overflowing with knowledge given by the wonderful presenters! I am still trying to process it all! All I can say is that I can see wonderful things in the future for A New Kind of Normal! There will be a separate post coming on the information gained at the conference but not in this post! A whole box of Tide to Go goodness! If you are anything like me, then you realize the wonderful invention that is the Tide to Go pen! I am clumsy enough on my own but with a 2 1/2 year old, stains are inevitable so these pens, along with other Tide products, make life a little easier! So I am not about to keep all this goodness to myself! Starting today, you can enter to win some Tide to Go of your own! 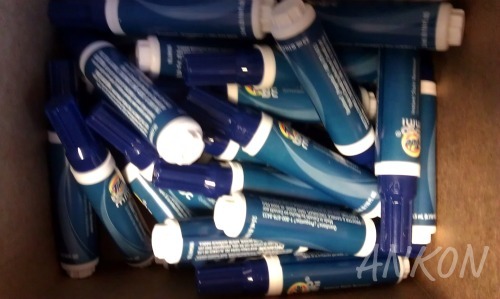 I will be drawing TWO winners who will each when a gift-pack of 10 Tide to Go pens! All you need to do to enter is leave a comment telling me something positive from the past week! Easy as pie! The winner will be drawn Friday morning (October 28th) using random.org. When leaving a comment, please include an email address so I can contact you if you are a lucky winner! If you are drawn as a winner but I do not hear from you within 48 hours, another winner will be drawn. 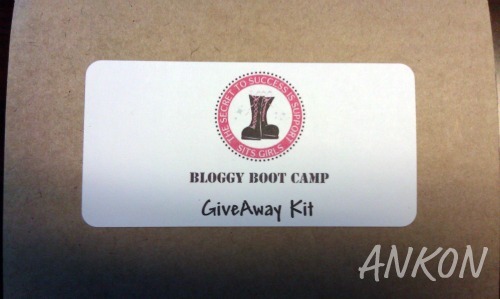 Disclosure: Tide to Go sponsored Bloggy Bootcamp where I received this free product for this giveaway. Such a mess I am. I definitely could use these. I don’t know if I have a shirt that I haven’t spilled something on. My positive is the support I have gotten with my difficult situation of losing my health insurance and prescription coverage. I have had dozens of people looking for ways to help me and my mom and Russ figured out what to do and got me some medicine to last until I can see the doctor at the low income clinic next week. If they hadn’t been able to help me, I don’t know what I would have done. I was about to completely go off the deep end. There seemed to be no future in sight because of how the medicine withdrawal was messing with my mind, soul, spirit, and body. spending the weekend with my sister and her family was fun as always!! Something positive from my last week… getting to go “home” for the first time in months and being able to see family and friends and hearing about how God is working in their lives. Oh spending time with my baby niece was the highlight of my week. And I LOVE Tide to-go! I got to actually go on a date night last week. I’m so glad to hear that you had fun! I can’t wait to be well enough to go to a bloggy conference. I wanted so badly to go to Relevant – maybe next year! I had the best family weekend ever. We did a 5k together. We went to the European Market and bought homemade pasta and cupcakes. We had a fun night with the grandkids dancing up a storm and watched lots of football. Awesome, awesome time! What cool swag! Glad you had a great time. I enjoyed a fun weekend with my family since my brother got married on Saturday! My mom and her friend installed a new ramp outside of our door and gave me a gently used scooter for scooting! It was a wonderful surprise indeed! positive experiences this week: got A’s on both of my midterms and got to have a girls night out with all of the women in my family that I hadn’t seen in awhile! Thank you for sharing your swag!! This would be great. I keep finding unidentified stains on my clothing and blankets. I think it’s the dogs, but I’m sure Tide to Go would help keep my fabrics looking new. Something postive from this past week, decorating our house for Halloween! It’s always such a fun holiday and time of year! These Tide-To-Go Pens would be great to have around here, since there is always some sort of stain to get out.